Recent photos of JYJ‘s Jaejoong have surfaced on an online community board, and is causing quite the buzz among netizens. 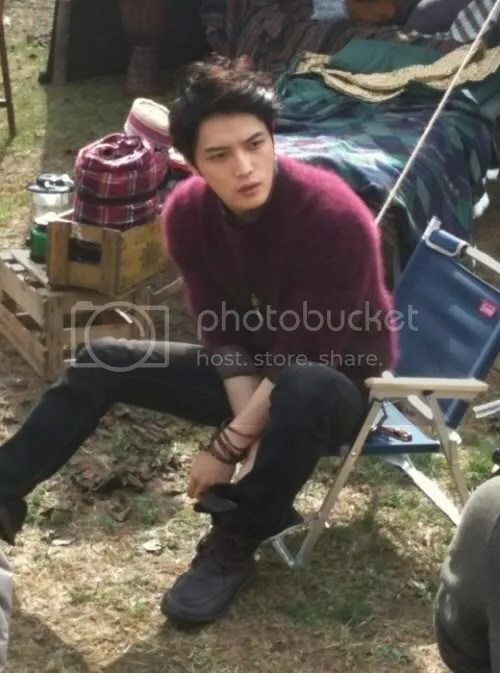 The photos were snapped of Jaejoong while on set for a photo shoot, and he is looking off into the distance, seemingly deep in thought. Dressed in black skinny jeans and a warm violet sweater, he looked the part of a camper, fitting right in with the camping gear surrounding him. Netizens who saw the photo remarked, “He’s such a man“, “He’s so handsome and so built too. He looks so buff here“, “Such a masculine shot“, and “He has such broad shoulders“. In related news, Jaejoong was recently compared to actor Robert Pattinson in an Italian magazine.